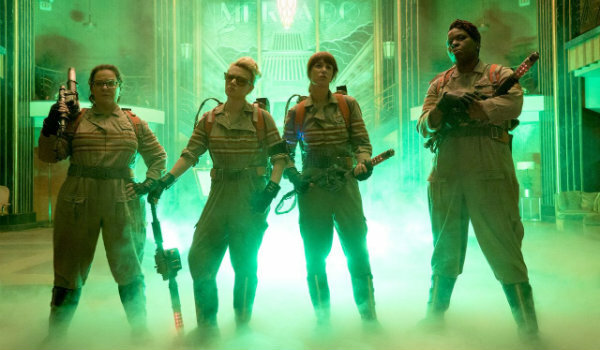 No film slated to hit theaters this year has a harder uphill battle than Paul Feig’s Ghostbusters remake. From day one, the Internet was set ablaze with people aggressively hating on the upcoming film – panning everything from the gender-swapped leads to the lack of involvement by the original cast. With so much mounting pressure, everyone is dying to know if the film will actually even be good or not. As it turns out, original Ghostbuster Dan Aykroyd has seen the film, and he has some strong opinions about it. As originator of the original: Saw test screening of new movie. Apart from brilliant, genuine performances from the cast both female and male, it has more laughs and more scares than the first 2 films plus Bill Murray is in it! As one of millions of man-fans and Ray Stantz, I'm paying to see that and bringing all my friends! That’s about as definitive as an opinion can get on this matter. Dan Aykroyd has seen Paul Feig’s version of Ghostbusters, and he wholeheartedly encourages people to do the same. Seemingly against all odds, he thoroughly enjoyed himself while watching the modern update of the franchise he helped build. He even goes on to reveal that the movie has a Bill Murray cameo, which should be enough to fill plenty of theater seat. No film in recent memory has drawn the same level of fan ire as the Ghostbusters remake. The early reaction to the film’s very existence has been overwhelmingly negative, with people screaming out that remaking a classic ruins their childhood. Hatred for the upcoming film has become so immense that the trailer for Ghostbusters secured itself the spot of the most disliked movie trailer on YouTube ever. It’s genuinely heartwarming to see Dan Akyroyd sticking up for the upcoming reboot. Considering the sheer amount of modern comedic talent behind the movie, it’s hard to completely comprehend why people have so quickly taken to hating this film. Kristen Wiig and Melissa McCarthy have become two of Hollywood’s strongest box office draws – particularly their collaborations with director Paul Feig – and Kate McKinnon and Leslie Jones have become two of the only bright spots on the current Saturday Night Live lineup. In an age characterized by reboots and remakes, Ghostbusters could have fallen into considerably worse hands.